When the first BMW X3 went on sale for the 2004 model year, SUV fever was already running hot in America. Luxury-brand SUVs were still a relatively new phenomenon, though, and aside from the niche-oriented Land Rover Freelander, nobody was making one as small as the X3 for sale in the U.S.
Fast-forward to 2018, and Compact Premium SUVs are hot, hot, hot. Everyone's got one now, except for Cadillac and Genesis. Several of the X3's competitors outsell it in the segment it arguably popularized. 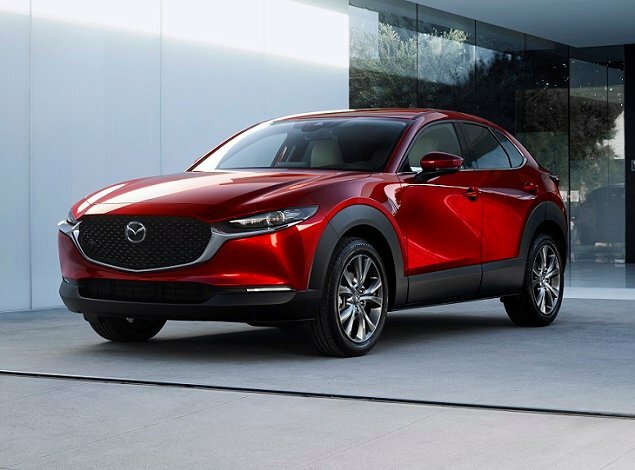 Thus, the time is right for a complete redesign to better battle the Acura RDX, Audi Q5, Mercedes-Benz GLC-Class, and Lexus NX, all of which are more popular than the Bimmer. For this review, J.D. Power evaluated a BMW X3 M40i equipped with Premium, Executive, and Driving Assistance option packages, as well as an adaptive suspension, 20-inch wheels, metallic paint, Apple CarPlay, a Wi-Fi hotspot, and a wireless charging pad. The price came to $64,895, including the $995 destination charge. Before we discuss the results of our evaluation of the redesigned BMW X3, it is helpful to understand who bought the previous version of this Compact Premium SUV, and what they liked most and least about their X3s. According to J.D. Power data, X3 owners are more likely to be male (60% vs. 56% for the segment), older (60 years of age vs. 57), and wealthier ($170,089 median annual household income vs. $157,767). BMW X3 owners identify as Performance Buyers more often than Compact Premium SUV buyers as a whole (44% vs. 38%). They are also slightly more likely to disagree that they prefer to buy a vehicle from a domestic company (74% vs. 71%), and it is worth mentioning that the X3 is assembled in South Carolina. Largely, BMW X3 owner sentiments about choosing a vehicle align with those of the Compact Premium SUV ownership base as a whole. Variances are related to fuel economy, design, driving dynamics, and safety. For example, 41% of X3 owners agree that their first consideration in choosing a vehicle is fuel economy, compared to 44% at the segment level. BMW X3 owners are also less likely to strongly agree that they like a vehicle that stands out from the crowd (32% vs. 37%), and they are more likely to strongly agree that they like a vehicle that offers responsive handling and powerful acceleration (60% vs. 55%), and that they're willing to pay extra to ensure their vehicle has the latest safety features (40% vs. 35%). Owners report that their favorite things about the previous X3 were (in descending order) the engine/transmission, driving dynamics, exterior styling, interior design, and seats. Owners indicate that their least favorite things about the previous X3 were (in descending order) the visibility and safety, storage and space, infotainment system, climate system, and fuel economy. In the sections that follow, our expert provides his own perceptions about how the BMW X3 measures up in each of the 10 categories that comprise the 2017 APEAL Study. Let's be honest, shall we? The BMW X3 has never been good looking. And while the third-generation model is the most visually appealing one yet, especially in racy M40i trim with the larger 20-inch wheels, it continues to follow a function over form philosophy. 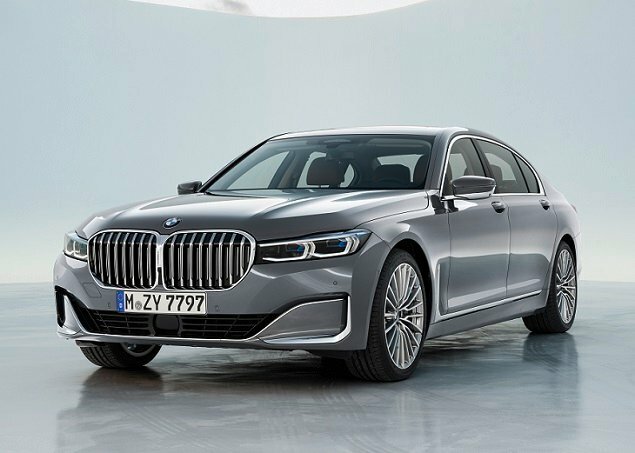 One of those functions appears to be placement of emphasis on BMW's traditional twin-kidney grille, here appearing oversized with bold vertical slats, like your grandfather's huge nostrils with hairs sticking out. At least you won't mistake the X3 for anything but a BMW, which cannot be said about some competitors in a world overrun with small crossover SUVs. Form follows function inside the new X3, too. The cabin looks assembled more than it does styled, though the kinked angles on the upper dashboard vents, overhead lighting, and other areas do carry over to the trick exterior puddle lighting, which is a subtle example of stylistic continuity and flair. In any case, the result is a no-nonsense cabin in the traditional BMW idiom, which could turn some people in the direction of Audi or Mercedes-Benz, where a palpable sense of interior design may win the hearts of buyers seeking a soothing sanctuary rather than a place from which to conduct the business of driving. Materials exude quality though, other than the hard and scuff-prone plastic lining the lower portions of the door panels. The test vehicle's premium Cognac Vernasca leather was delightful, and the metallic finishes appropriately upscale. Up front, the driver and passenger are treated to exceptionally comfortable seats, and they include manually extendable thigh supports for longer trips. Taller rear seat occupants are likely to complain about pain due to the hard plastic trim where their shins contact the lower front seatbacks. This is especially unfortunate because otherwise space for legs and feet is generous enough. A low seat cushion and intrusive wheel wells can make exiting the X3's rear seat a bit awkward. Blissfully easy to operate, the X3's climate controls are separated from the iDrive infotainment system and employ a mix of buttons and knobs to get the job done. The driver and front passenger have easy access to the available heating and ventilation functions, too. During testing under warm and sunny conditions in Southern California, no issues with the system's effectiveness were noted. Your results, depending on where you live and the time of year, may vary. BMW installs its latest version of iDrive in the new X3, and it represents significant improvement over previous iterations of the technology. 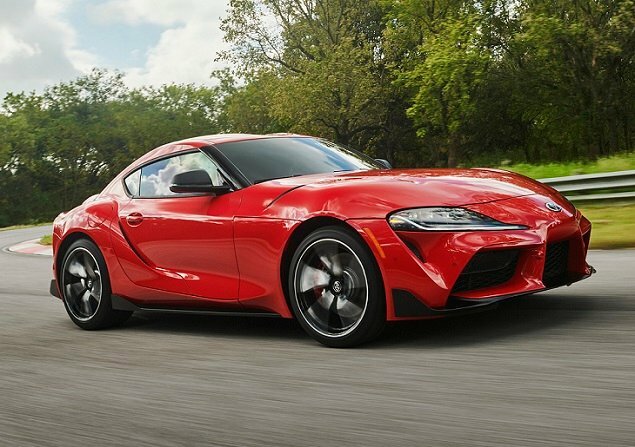 First, it has a touchscreen display, which is likely to win customers who may have previously avoided BMW for its iDrive controls on the center console. Those remain, by the way, simplified and easier to use by touch without looking down. You do acclimate quickly. Additionally, I found it easy to pair to the X3's Bluetooth, and to use the voice commands to find the nearest location for my favorite coffee shop and to program a route home on a street with a Spanish-language name. This version of iDrive also offers available gesture control, which is cool but a gimmick. It lacks precision, and served mainly to entertain my children. Considering that BMW supplies a perfectly good volume knob on the dashboard, I failed to see the point. If anything about the X3's iDrive system deserves genuine criticism, it's that many of the sub-menus go very deep, requiring lots of clicking, shoving, and twisting of the dial on the center console. But if you get lost, a simple press of the "Home" button provides a quick "do-over." Where BMW's form-follows-function design philosophy pays off is with regard to interior storage. The cabin is loaded with practical places to put things, and while none of them are particularly generous, they're all useful to some degree. Cargo volume is on the stingy side, typical of the segment. Behind the rear seats, the X3 supplies 28.7 cubic feet of capacity. The space is useful, thanks to a netted pocket on the left side, grocery bag hooks, and a shallow but wide bin under the cargo floor. You can easily stack four full-sized suitcases behind the rear seat. Where BMW has missed an opportunity is with regard to extra space between the luggage and the liftgate. Adding another nine inches of cargo floor length would allow parents of young children to stow a compact folding stroller and still close the liftgate. Thanks to the test car's optional 360-degree surround view camera system, active park distance control sensors, and active blind spot monitoring system, I did not find visibility to be an issue. Even without these features, and despite somewhat thick windshield pillars, the standard reversing camera and large side-view mirrors make it easy to see out of the X3. The test vehicle did not include BMW's Active Driving Assistant Plus option package, which installs adaptive cruise control with stop-and-go capability, forward collision warning with pedestrian detection, and automatic emergency braking. This package costs $1,700. The test vehicle did, however, have the Driving Assistance option package, for $900. It includes active blind spot detection and a lane departure warning system that vibrates the steering wheel when the X3 wanders across lane markings. Every X3 M40i is equipped with a turbocharged 3.0-liter inline 6-cylinder engine developing 355 horsepower between 5,500 and 6,500 rpm and 369 lb.-ft. of torque between 1,520 and 4,800 rpm. An 8-speed sport automatic transmission with launch control feeds motive force to all four wheels through an intelligent xDrive all-wheel-drive system that variably distributes power to the wheels with the most grip. For 2018, xDrive is calibrated for greater rear power delivery bias in order to improve handling. Four driving modes are available: EcoPro, Comfort, Sport, and exclusive to the M40i, Sport+. They have a predictable effect on drivetrain performance that is commensurate with each setting's name. BMW claims that the 2018 X3 M40i will accelerate to 60 mph in 4.6 seconds, and by the seat of the driver's pants, in Sport or Sport+ mode, that sounds accurate. If you've got a need for speed, the M40i delivers, and the transmission is nothing short of brilliant. Paddle shifters are included, but when hustling this X3 down a twisty road I preferred to let the automatic do its thing while I focused on steering, braking, and accelerating. Some people say BMWs aren't fun to drive anymore. That's not true. How much fun did I have driving the X3 M40i? The proof is in my observed fuel economy numbers. On my standard test loop, the SUV returned 20.7 mpg, falling short of the EPA estimate of 23 mpg in combined driving. Over the course of a week, I averaged 20.2 mpg. Clearly, I should have used the X3's EcoPro driving mode. But that would've curtailed the amount of giggling while driving it. While these observed figures are unimpressive measured against the EPA ratings, they're impressive given the amount of power generated by the engine, and the fact that the X3 weighs 4,230 pounds. Speaking of weight, that two-plus tons of poundage is distributed fairly evenly over the X3's front and rear axles, in a 50.8%/49.2% split. This balance, in combination with optional 20-inch aluminum wheels wearing 245/45 Pirelli P Zero run-flat performance tires, in turn bolted to an adaptive M-tuned suspension, made for impressive handling...for an SUV with eight inches of ground clearance. After all, this is a compact SUV, sitting on a relatively stubby wheelbase and equipped with a taller center of gravity than a car. As such, you'll experience more chop and roll and head toss than in, say, a BMW 340i. But compared to its competition, and without having driven them back-to-back (though I have experience with all of them on my test route), the X3 M40i is on par with the Audi SQ5 and Mercedes-AMG GLC43. Variable sport steering is standard for the X3 M40i. In my opinion, it is excellent, demonstrating quick and precise response, perfect weighting, and successful conveyance of some road texture. Is it alive in the driver's hands, like an old BMW? No. But I think that's fine, and people need to get over it. Electric steering is here to stay, and it works exceptionally well in the X3 M40i. With the optional adaptive M suspension, ride quality varies depending on the driving mode. In Comfort, it is firm but relatively smooth, and due to the aggressive rubber road noise is elevated on rougher aggregate pavement. In Sport mode, the X3 M40i is stiff. In Sport+ mode, it is occasionally unyielding. A set of M Sport brakes is standard for the X3 M40i, installing 4-piston fixed caliper front brakes and upsized discs. As is typical of such systems, when you're stuck in stop-and-go traffic, they can seem a little sticky and difficult to modulate smoothly. From higher speeds, they haul the X3 M40i down to a quick and decisive stop. At the hands of an enthusiast driver on a road known well, they experienced a hint of fade, yet executed a panic braking stop with little drama. Overall, the X3 M40i is terrific fun to drive. But I still think I'd rather BMW built a 340i Sports Wagon with all of these M Sport goodies. If you like to drive, you're better served by the more powerful X3 M40i. Still, if you're willing to give up 1.5 seconds of acceleration power to 60 mph, and a few other performance upgrades, the X3 xDrive30i with its turbocharged 4-cylinder engine, M Sport design package, 20-inch wheels with performance tires, and dynamic damper control suspension delivers some of the fun for around $4,000 less. Ask me, and I'll tell you that four grand is worth spending to get the X3 M40i. BMW of North America supplied the vehicle used for this 2018 BMW X3 review.